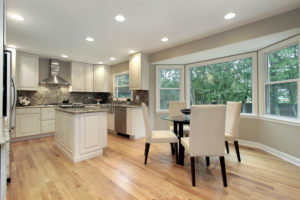 Remodeling Your Kitchen or Bathroom? Let us help! Southern Maryland Pristine Kitchen Designs creates high quality installations and layouts for Bathrooms, Showers, Kitchens, Backsplash, Countertops, Flooring, Patio Kitchens, Custom Requests & more. We take pride in our designs and our highly communicative customer service. There is no project too small or too large for our skilled employees. Our goal is to work carefully with each of our clients to create their dream space. Our team of designers are waiting for your phone call today. If you are deciding to tackle a small home project or a large renovation project, we are here for you. Bathroom remodels and Kitchen renovations can be some of the largest tasks to handle on our own. For fresh ideas and the latest design strategies, allow us to assist you on your next home renovation project. Each and everyone of our designers are extremely talented and ready to share their latest styling and designing techniques. We work closely with you on your project and your ideas and make sure we meet your specific needs. We pledge to complete each project, small or large, with 100% Satisfaction Guaranteed! Design Questions? Call Us Today!